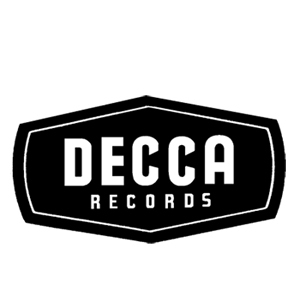 Decca Records is a British record label established in 1929 by Edward Lewis. Artists signed to Decca in the 1930s and 1940s included Louis Armstrong, Count Basie, Jimmie Lunceford, Jane Froman, The Boswell Sisters, Billie Holiday, The Andrews Sisters, Ted Lewis, Judy Garland, The Mills Brothers, Billy Cotton, Guy Lombardo, Chick Webb, Louis Jordan, Bob Crosby, The Ink Spots, Dorsey Brothers, Connee Boswell and Jack Hylton, Victor Young, Earl Hines, Claude Hopkins, and Sister Rosetta Tharpe – the original ‘soul sister’ of recorded music. Today, Decca thrives on discovering talent in new areas ranging from pop, rock, folk and Americana, and takes pride in strengthening its classical and jazz heritage with consistent benchmark recordings from some of the world’s greatest musicians. Decca Records incorporates Decca Classics, Concord Records, Deutsche Grammophon, Philips and Verve Records, Blue Thumb, Rounder Records and UCJ. Decca is offering a monthly giveaway CD-bundle from its leading artists.